Hey guys if anyone playing Mafia III wants to remove that awful blur that it comes with here are some quick and easy steps. 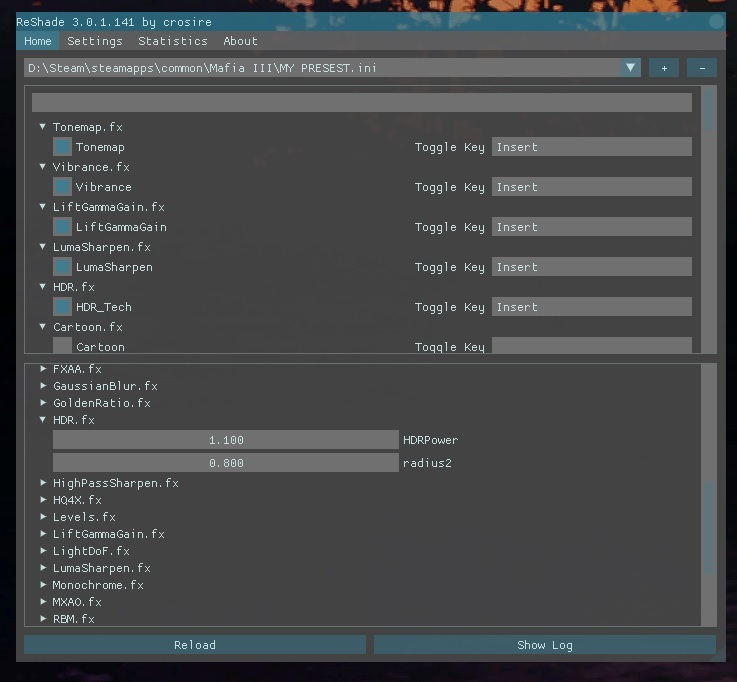 4: Open "ReShade_Setup_3.0.1.exe" Click "Select Game" and select your "Mafia 3.exe" - An easy way to find your install directory is to open steam, go to your games list, right click mafia 3, click properties, click the local files tab, click browse local files and you'll be taken to it. 5: Click the button next to "Direct3D 10+" You'll be asked if you want to download shaders - Click YES and let it download. Once it's complete it will say done. 8: Open "NYCLIX PRESET" from the Mediafire download. You may need Winrar or Winzip to open it. Highlight everything by pressing CTRL+A and then CTRL+C to copy the text. 9: Go to your Mafia 3 directory and open up "Your preset name.INI". Highlight everything by pressing CTRL+A followed by CTRL+V to paste my settings over the top and overwrite the old settings.Save and close the file making sure not to change the name. 10: Place the second file from the download "HDR.fx" Into Mafia III\reshade-shaders\Shaders. If you're missing this file redownload 5.0 as it was left out for a short time in the original upload.